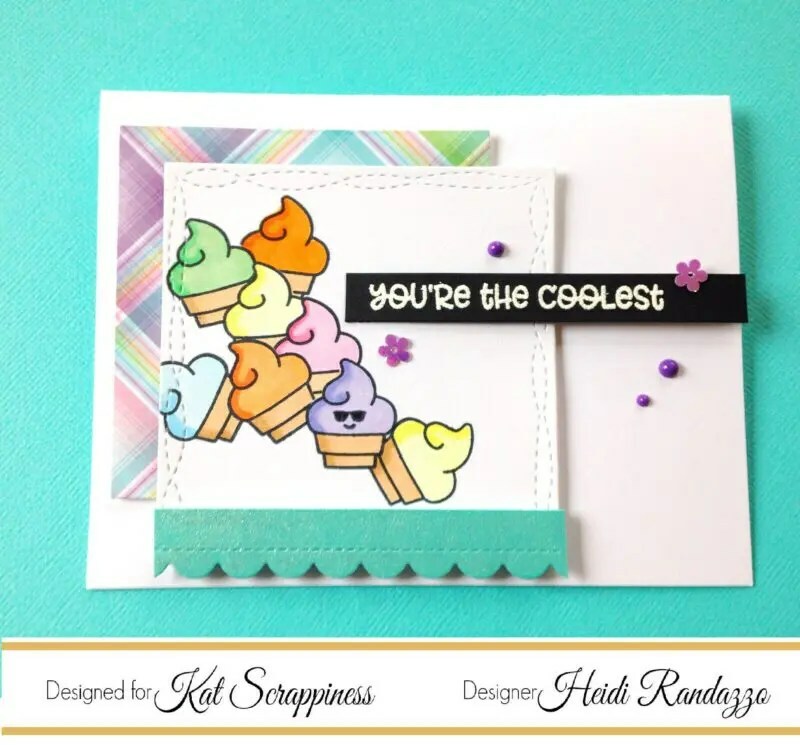 I have a project today using the adorable Kat Scrappiness Punny Snacks stamp set. I used masking to make it even more fun! 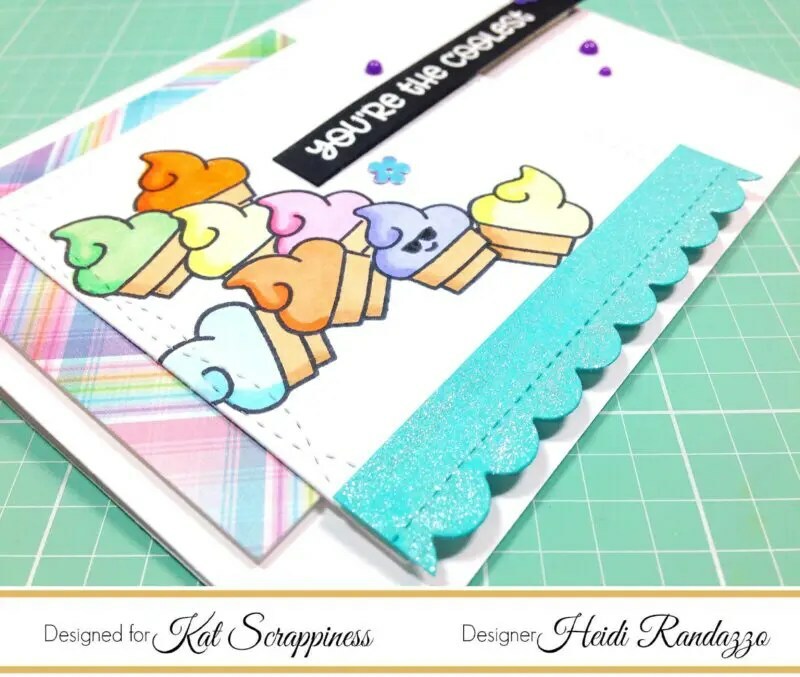 If you haven’t tried masking stamped images, it’s actually quite easy and can add a look of dimension and movement to your cards without adding extra bulk. These stamps are perfect to use if you’re trying it for the first time. 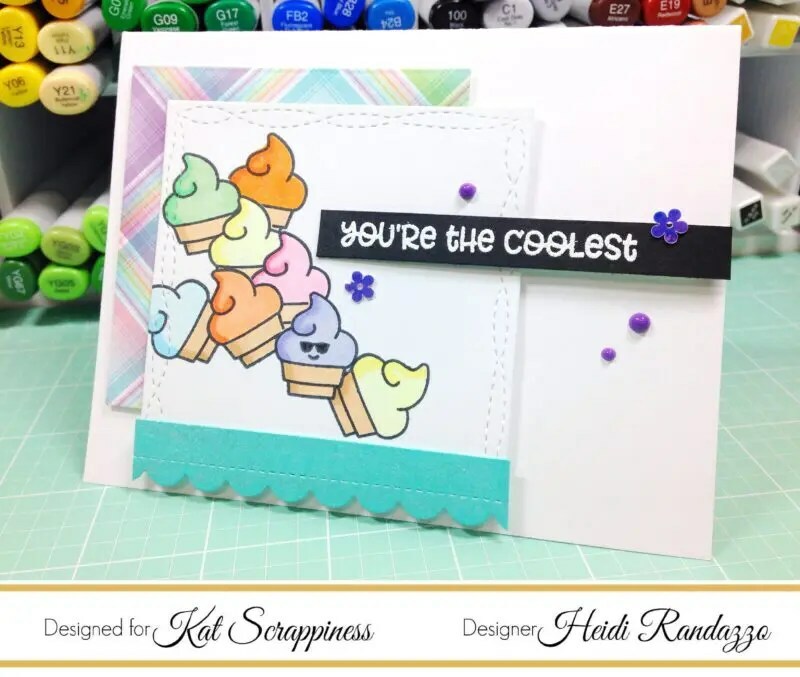 I started off by stamping the ice cream cone from the set onto a piece of masking paper. I cut it out with my scissors right on the line of the stamped image. I cut 2 more of the same masks since I will be stamping the ice cream cone multiple times. 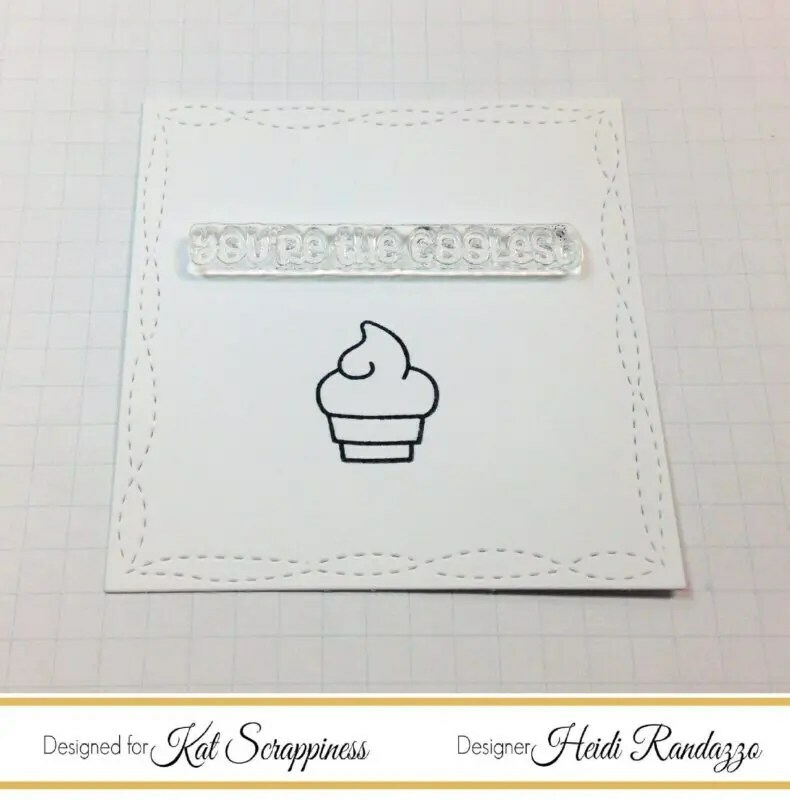 I cut a square panel from the Wonky Wavy Stitched Square die set and placed my sentiment where I wanted to stamp it. 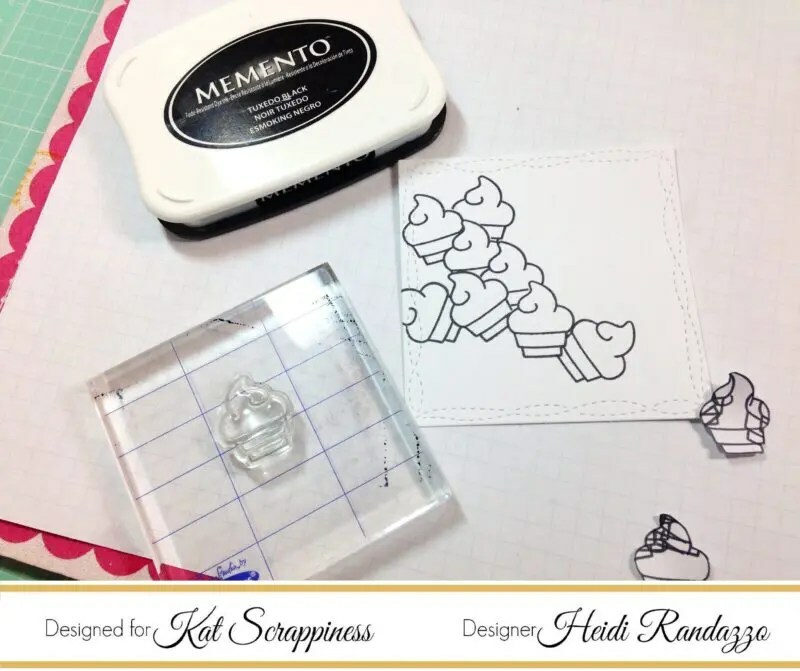 Underneath, I stamped one ice cream cone using Memento Tuxedo Black Ink. This is my starting point for the masking. I want this ice cream cone to remain in the front since he will be the “cool one” with glasses. To make it look like ice cream cones are behind him, I place one of my masks over the main ice cream cone and stamp on either side going in different directions. When I lift the mask, you can see the main ice cream cone remains in the front and the others look like they are behind. I love this trick! Continue on, covering ice cream cones with masks and stamping all around until you get the look you want. Remember, if you want an image to look like it’s behind another, place the mask over the one you want in the front and stamp over the mask. If you’re stamping behind 2 or more images, place multiple masks over the ones you want to remain in front. After coloring my ice cream cones with Copics, I added a layer of patterned paper as well as a scalloped strip I colored with some Spectrum Noir Clear Overlay Sparkle Marker. I popped everything up on foam tape on the front of a white notecard. 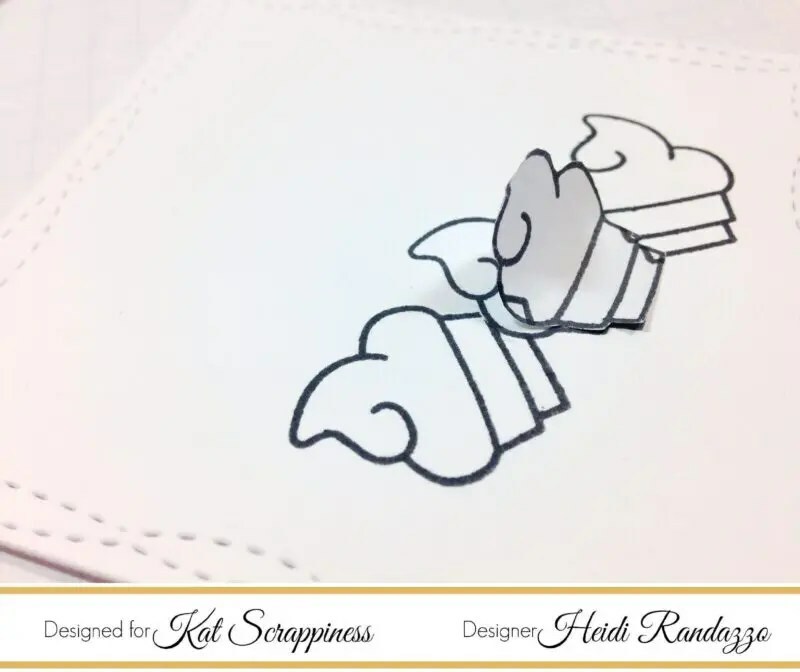 I used Kat’s largest Stitched Scalloped Nesting Tag to make the scallop from some cardstock from the Gina K. Island Dream cardstock pack. Fun sequins and Nuvo Drops highlight the heat embossed sentiment strip. Definitely try this masking technique the next time you want to try something different. It’s great with all types of stamped images including flowers, animals or any type of grouping you want to make. 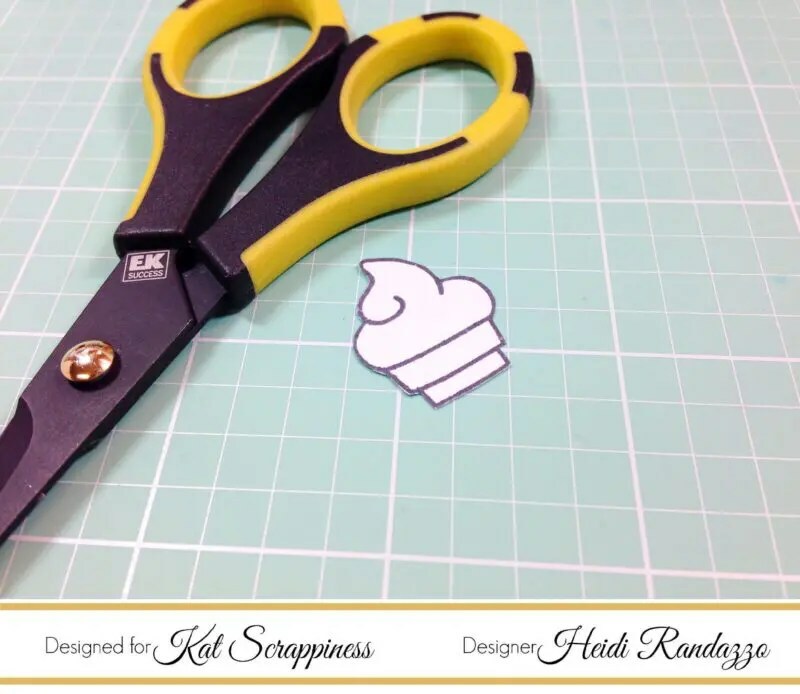 I have all the products linked below that you can find at the Kat Scrappiness shop. Feel free to use my coupon code Heidi10 to receive 10% off your purchase. Thanks for joining me and have a great day! 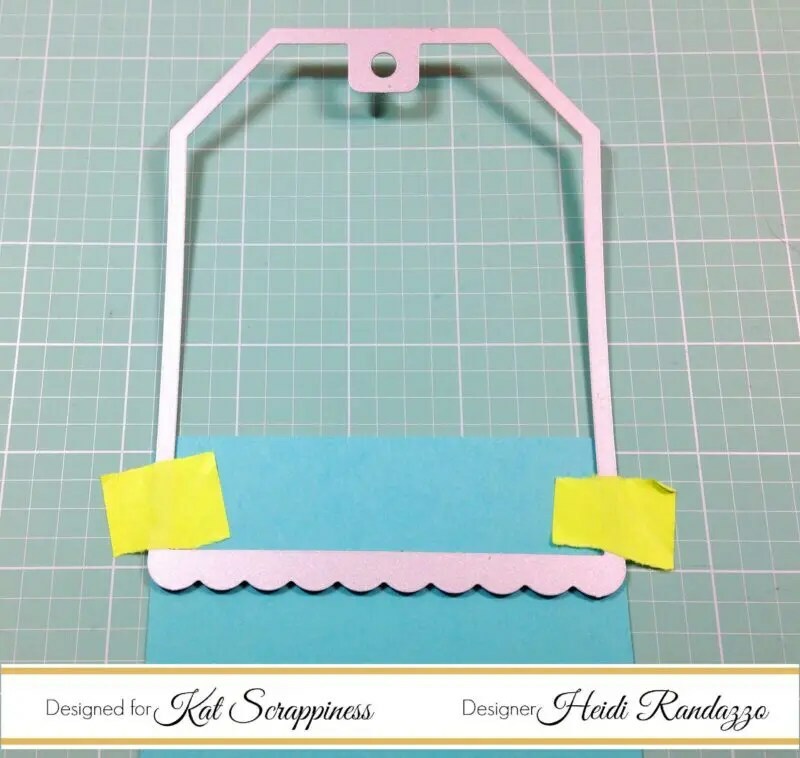 Brand New Stitched Scallop Nesting Tags!